Energy Attic is addicted to doing things right! They are professionals with all types of insulation, Radiant Barrier, and Solar Attic Fans. Anything you need to help conserve energy that is installed in the attic, Energy Attic has you covered! Energy Attic is also addicted to customer service. You will not find any negative reviews anywhere on the internet and even when mistakes are made they are so attentive that it ends up being a good review. When you do business with Energy Attic you will see from the first phone call that they love their customers and are willing to go the extra mile to make sure everyone is 100% satisfied. 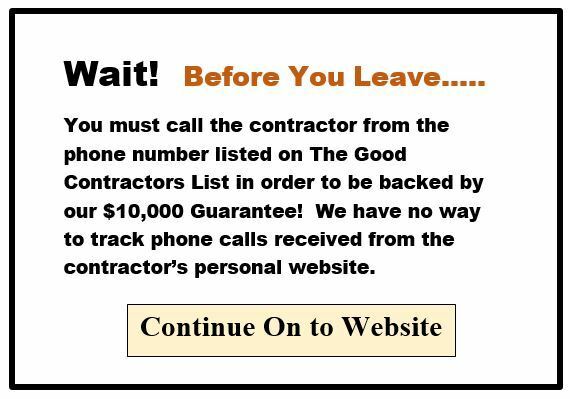 We have all the confidence in the world in Energy Attic, and don't forget to mention that you found them on The Good Contractors List!